Who is James(Jim) Farmer Q.C. Jim’s practice is very broad but the main focus is on commercial law and public law. He is particularly known for the many appearances that he has made as counsel in competition (antitrust) law cases. He has written books that have been published in the United Kingdom [Tribunals and Government] and in Australia [Creditor and Debtor Law]. He has also co-authored books in New Zealand [Industrial Relations in New Zealand and Closer Economic Relations between Australia and New Zealand] as well as writing many articles that have been published in New Zealand and Australia and presenting many papers at conferences. From 1991 until 1995 and then again from 2004 to 2008 he was President of the New Zealand Bar Association. Previously in 1982 to 1983 he had been a member of the Council of the New South Wales Bar Association. he has been appointed a Life Member of the New Zealand Bar Association. From 1989 until 2002, he was a Director of Air New Zealand and became Deputy Chairman in 2000 and as Acting Chairman in 2001 steered the company through its financial crisis leading to its successful re-capitalisation. More recently, from the time that Team New Zealand lost the America’s Cup in 2003 he was one of 3 directors seeking to obtain its return to New Zealand. He was elected by the competitors in the 2013 America's Cup Event to the board of the America's Cup Race Management and was also appointed as a member of the International Committee charged with investigating safety issues following the death of Olympic Gold medallist Andrew Simpson as a result of a capsize of the Artemis 72 foot multihull, at which time he resigned his positions with Team New Zealand. In July 2013, he was appointed as a Deputy Chairman to the New Zealand Sports Tribunal. 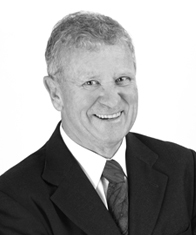 He has appeared as senior counsel at all levels of the Court system, including regular appeals to the Privy Council before its appeal jurisdiction was transferred to the newly created New Zealand Supreme Court in front of which he now appears regularly (including Discounts Brands, Fonterra v. Commerce Commission, Reid v. Serious Fraud Office, Lai v. Chamberlains, Sunset Terraces v. North Shore Council, Spencer on Byron v. North Shore Council, GE Finance v. Bartle and Carter Holt Harvey v. Ministry of Education). In Australia, he appeared mostly in the New South Wales Supreme Court (Equity Division and Commercial List), the New South Wales Court of Appeal and the Federal Court of Australia and on occasion in the High Court of Australia. In recent years, he has appeared in Hong Kong in its Court of Appeal and before the Telecommunications Competition Appeal Tribunal. His Court appearances include many long trials in commercial cases, including the Equiticorp case, which took 13 months and resulted in his clients, the Statutory Managers of Equiticorp, obtaining what was then the largest ever civil award in New Zealand. In the competition law area, he has appeared in most of the leading New Zealand cases over the past 20 years, including Fisher and Paykel (exclusive dealing), Magic Millions (abuse of monopoly power), Clear v. Telecom (several cases relating to interconnection disputes and other competition issues), Mercury Energy v. ECNZ (monopoly pricing), Southern Cross (merger), Fletcher Metals (merger), Woolworths v. Commerce Commission (merger), Brambles (merger), Commerce Commission v. Telecom (price squeeze), Kapuni Gas (anti-competitive agreement), Todd v. Shell (anti-competitive agreement), Commerce Commission v. various airlines (cartel conduct), Air New Zealand and Qantas v. Commerce Commission (business merger) and E-Trans v. Kiwibank. In many of these cases, he has worked closely with leading US economists and has a keen interest in law and economics. He has appeared as counsel both for and against the Commerce Commission (most recently in Chorus v. Commerce Commission, a case about broadband pricing) and also as counsel for the Serious Fraud Office. He has appeared in many judicial review regulatory cases and a number of insider trading cases and in major tax avoidance litigation, both for and against the Commissioner of Inland Revenue. He also successfully challenged in the Privy Council decisions by the New Zealand Courts that a barrister should pay costs of litigation personally because of alleged mismanagement of a client’s case, the Privy Council ruling that the barrister had been treated unfairly by the New Zealand Courts and upholding her conduct as counsel in what had been difficult circumstances (Harley v. McDonald). Recently, he successfully represented the mother of a disabled son in a human rights judicial review case against the Crown and then subsequently obtained a compensation award in the High Court for her (Spencer v. Ministry of Health). During his University years, Jim won New Zealand Universities and Auckland middle distance titles and was awarded Blues for Athletics and Cross-country running by Cambridge University. He continues to run every day. He has in the last 15 years competed as a yachtsman, forming Georgia Racing, which has built 5 keel boats ranging between 36 and 53 feet in that period. He has successfully campaigned these boats in New Zealand (winning 3 New Zealand IRC championships and a number of major regattas) and in Australia as well as winning the Kenwood Cup in Hawaii, placing 4th in two Mumm 36 World Championships (San Francisco and Italy) and placing second in the Corum Cup in Hong Kong and Hamilton Island in 2010 in Australia. He also won Australia's largest regatta, Geelong Race Week, in 2012. Georgia Racing has a web site the link to which is www.georgia-racing.co.nz. Jim has 4 adult children, Russell, Leo, Georgia and Hugo. Another son, Jeremy, died in 1999.